Prominent & Leading Manufacturer from Ludhiana, we offer three wheeler components. 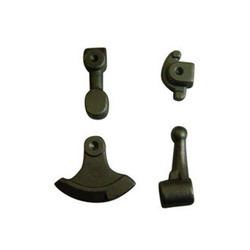 Owing rich industry experience, we offer Three Wheeler Components to our clients. Our supervisors keep a tight check on the manufacturing and designing of the product to make it fault-free. We have been applauded much for the quality of these components. The product gives us much appreciation from our valuable clients who not only love our products but praise us for the quality-based and fine finished products that are available to them on time.